I've always loved winter fashion, mainly due to the boots. Every year I look forward to browsing the latest trends and picking out the perfect pair to grace my feet throughout the chilly winter months, carrying me comfortably and sturdily into spring. For this Designer Spotlight post I have chosen to focus on Carvela - the luxurious high end shoe brand that stock a down right delectable selection of boots. Without a doubt, one of my favourite styles is the chelsea boot (read this post to see my latest pair). They're stylish, slightly masculine and very Millie Mackintosh-meets-Alexa Chung - three characteristics that make for a great shoe! I love the black and burgundy 'Sloane' styles pictured above, but the buckled 'Sadie' boots with the slight heel are the absolute winners for me. They look slightly biker yet still tick the chelsea boot box; so worth the £160 price tag if you're willing to save. As for the scarily high 'Satin' boots - I don't stand a chance of being able to walk in them but they're just so lovely I had to include them! What do you think of Carvela? Do you also love getting that new pair of winter boots? 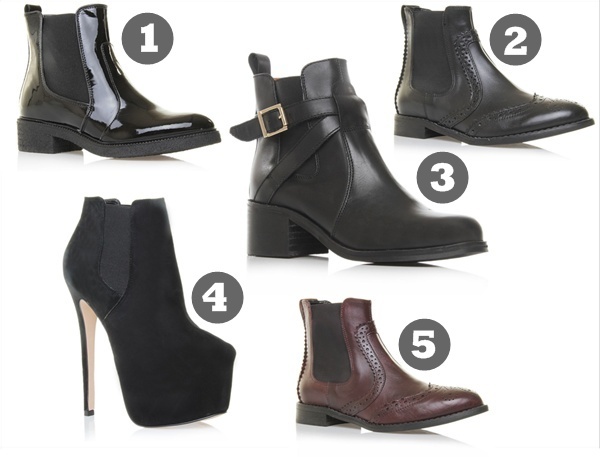 I'm looking for a little pair of boots to wear to school in the winter - I think number 2 are my favourite! I love number 3 especially! I really want a pair of Chelsea boots! I really love number 1!